The tour includes: Old German Town and the Old Red Light District known as Guytown, the Servant Girl Annihilator, and the Driskill (We will not be going inside, please read) and much more. 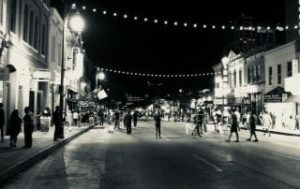 Take photos and look for orbs, a sure sign Austin’s downtown spirits are following along! Tips for your guide are not included. The general standard for tipping is between 15% and 20%. Thanks! Please note that this walking tour does not go inside any of the buildings. It is an outdoor walking/ghost tour of the city. Thanks! 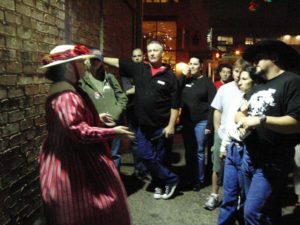 This walking tour includes excellent history and the ghost stories that keep that history alive! Especially the intriguing stories that include the Texas Capitol and the convict who built it. 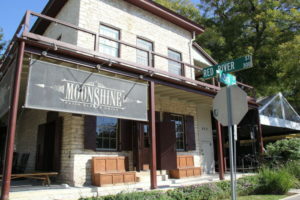 Also the first hospital in Austin, the old Travis County jailhouse, the Driskill Hotel (click to read why we will not be going inside: ) and much more. Take photos to discover if some of the city spirits are following along! Look for our talented costumed guide. Pets WelcomePlease note that this walking tour does not go inside any of the buildings. It is an outdoor walking/ghost tour of the city. Thanks! Seeking great historical narrative and hair raising paranormal intrigue! Story topics include: the whispering banks of Waller Creek, the babe of the Alamo who grew up to have 5 tumultuous marriages Susannah Dickinson, the incarceration of O’Henry and much more! Bring your camera to capture your own extraordinary encounters! Look for our talented costumed guide.